On the banks of the Wear, a distant tapping sounds out from deep within the heart of a 1970s industrial unit. Broadcasting through long ago-repurposed spaces, the heady rhythm fluttering through charity shop curtains is not one of machined metal and glass, but instead the lilting percussion of tap shoe and soundboard, the sound of experimentation, the pulse of Honey & Tar. Recorded and produced by Peter Brewis at Field Music’s studio in Sunderland – a brilliantly revamped former manufacturing space packed full with knockabout vintage musical kit – Honey & Tar is set for release on 3rd November. Despite the period following their well-received debut, 2012’s Tell Tales, being packed with a heady brew of new jobs in education and arts, new babies and a daunting nine house moves between them (“no one is chasing us, honest” promises Marie), the foursome worked tirelessly to bridge the gaps in geography and lifestyle keeping them apart. “By the time the first album was released we already had new things we were playing around with. We love knocking about together too much, I can’t remember a time when we were thinking we wouldn’t do a second one.” Marie Nixon explains. Recording in fits and starts across a series of sneaky half hours in the studio over the last few years, together as often as they could but also meeting in twos and threes when possible, they got the job resoundingly done; a delicate balance of work and maternity setting the pace for production. Honey & Tar is a delight from start to finish; from the soaring We Have Said This Is Impossible, through melodic stomper Show Me and vaudevillian pop banger Jobs For The Boys, to the aching bucolic wonder of Waiting For Audreya. Far from creatively hampering the group, the temporal and physical constraints applied to the recording process resulted in an explosion of experimentation, a rich practice that sculpted an opulent wider aural landscape for the group to play in, producing a familiar yet notably more expansive and poppier sound. Honey & Tar sees the group taking on love, motherhood, friendship, family, feminism and the increasing complexities of life as you get older but no wiser. 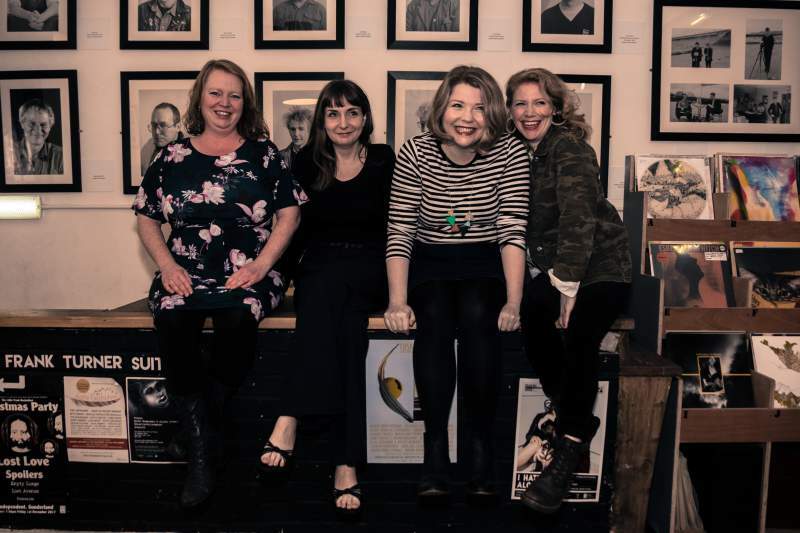 The Cornshed Sisters play The Cluny 2, Newcastle on Wednesday 1st November. Honey & Tar is released via Memphis Industries on 3rd November.